The Asian Pacific Islander (API) Faculty & Staff Association is committed to supporting Asian-Pacifics in higher education to become stronger leaders and to create networking and social opportunities. 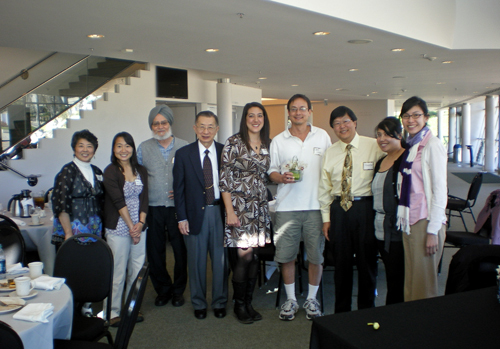 Also referred to as Leadership Education for Asian Pacifics (LEAP), the API Faculty & Staff Association was founded in 2007 by a group of Cal Poly employees from various departments who attended the LEAP conference. LEAP is a national, nonprofit organization whose mission is to achieve full participation and equality for Asian Americans and Pacific Islanders (AAPIs) through leadership, empowerment, and policy. We are committed to promoting diversity at Cal Poly and maintaining productive cross-cultural relations on campus. We are a diverse association and membership is open to all Cal Poly faculty and staff as well as individuals from the community.